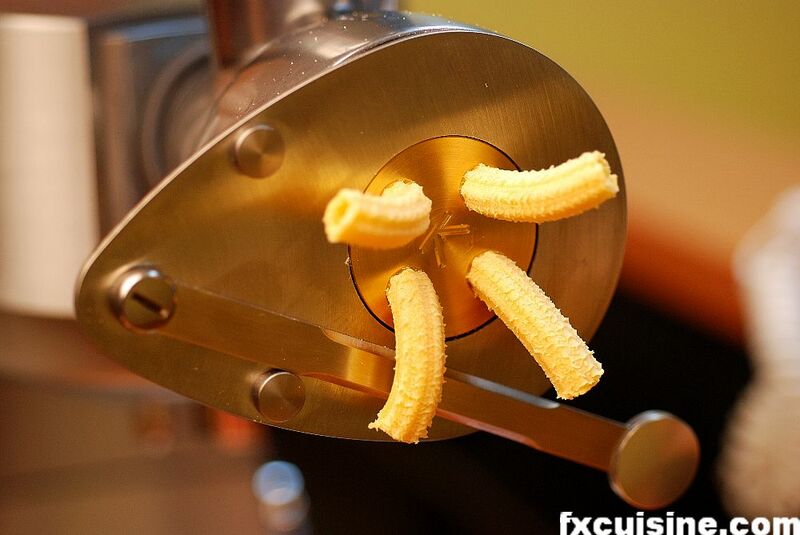 Have you ever wondered how they make the hole in the macaroni, penne, rigatoni and other tubular pasta? There is much speculation as to how it's done. 'They must use long needles' say some, while other think that 'they first take the hole, then wrap it with pasta dough and let it dry'. Start by beating a few eggs with a pinch of salt, then add twice their weight in semolina and mix. You need to reach a crumbly texture. If it makes a ball, add more flour and cut it back in crumbles. Too soft a dough will make your maccheroni cave in. Assemble the contraption pictured above and attach it to the machine. It is quite simple really. A funnel feeds the dough to a worm drive that pushes it against a a bronze grid. 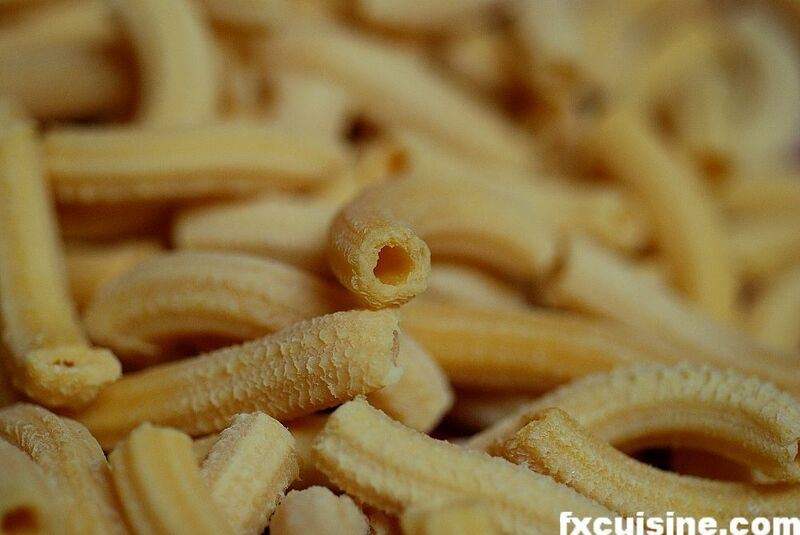 The pasta is compressed and exits in one of four small chambers with a big pin in the middle. That's where the macaroni get their tubular shape. The dough exits on the other end as four little fluted tubes. The dough begins its exit through the bronze extruder grate. 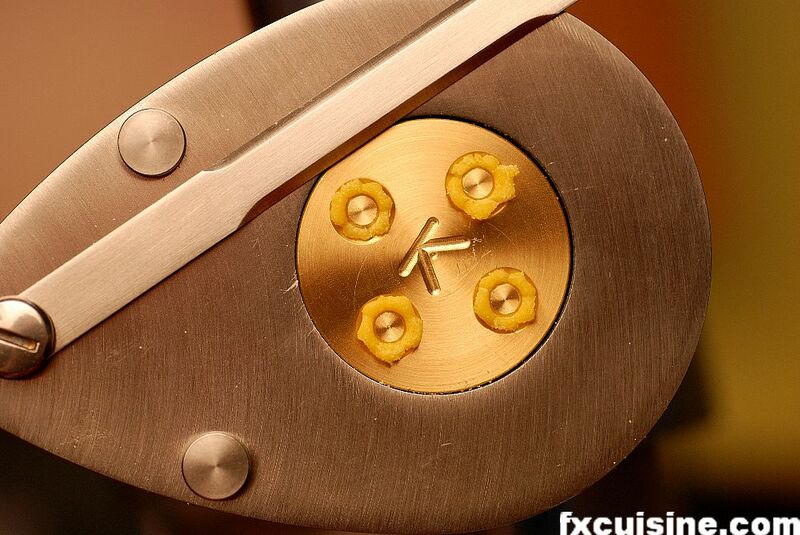 The macaronis are ready to be cut by moving the cutting lever you see above. 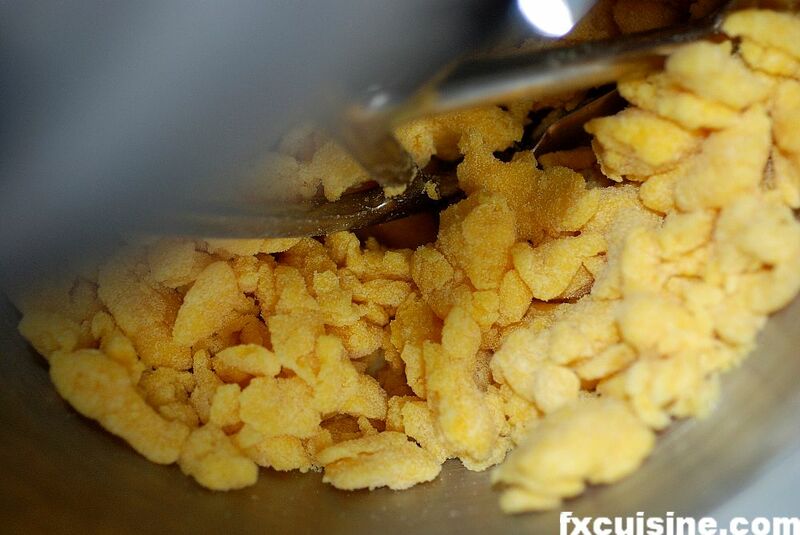 You need to feed the crumbles manually and cut at desired length. Great fun! This is my second batch, with four oversize macaronis I did to see just how long they could be! My first batch was not successful as I disregarded the instructions recommending crumbly dough. If you look carefully you will notice most macaroni have one open end and one closed end. The blade seems to seal shut one end and you need to work with a toothpick to reopen it if you think it's necessary. I will try an even drier dough and see if that still happens. The pasta cooks for about 3.5 minutes. It is very much al dente and crunchy even though I made it only an hour before. This is very encouraging! The pasta has a delicious strong fresh eggs smell. Very much unlike any bought pasta! The Kenwood fresh pasta extruder comes with bronze discs, this is terrific as it gives the pasta a very grainy texture so the sauce sticks. 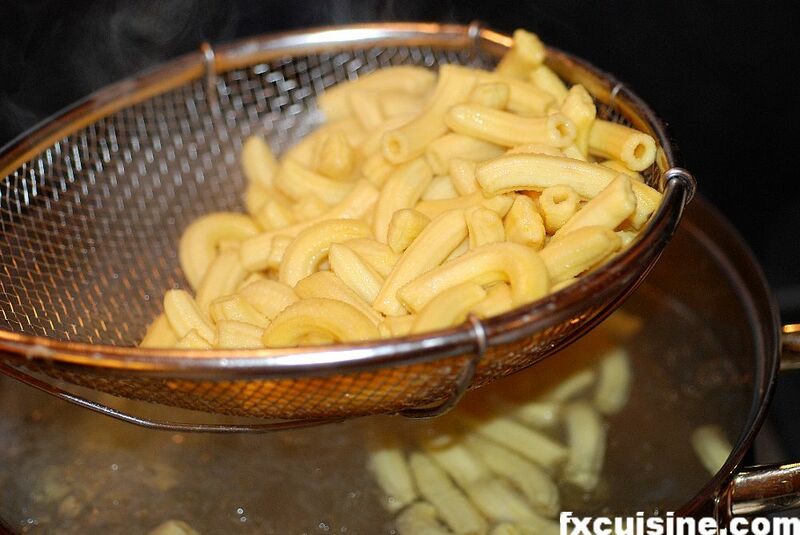 Best quality pasta in Italy is always trafilato al bronzo - bronze-extruded. 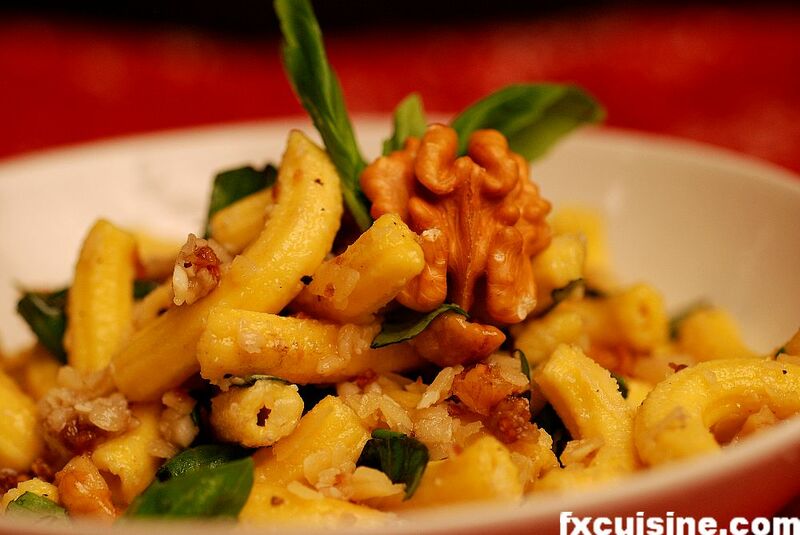 I prepared it with an Italian recipe of crushed garlic fried in olive oil with chopped walnuts, fresh basil and lots of Parmesan. Another success at FXcuisine! I enjoyed reading your article!60 yrs ago I used to watch an old Italian woman, she had a 2ft. piece of piano wire on which she rolled the dough and then pulled the wire out which left a hole in a 18 inch piece which she called macaron without the 'i'. She gave me some quite often, it was beautiful, I never told anybody as in those days after the war you were not permitted to mix with them as they were considered dirty wogs. I didn't think so then and I don't think so now. What strange things people teach their children! hey, nice recipe. I would say that your pasta tube are closing on one end because you have the dough too soft (too much egg). Extrusion pressure will make a very dry dough into a great finished product (assuming the machine used has enough force). As well it seems that not all the semoline in your mixer was hydrated enough by the liguid. I would mix longer or wrap and store pasta before extruding to make sure all the grain is fully hydrated. Love your site!!! 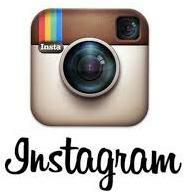 Got about 5 recipes on here I cant wait to try!! Hello! I loved your article and photos! I am looking for a domestic pasta extruder (similar to the one you describe above which you used for your home made macaroni), but have been unsuccessful in locating one. The Kenwood Chef site did not display this item. Do you know where I might find one for home use? Thank you! 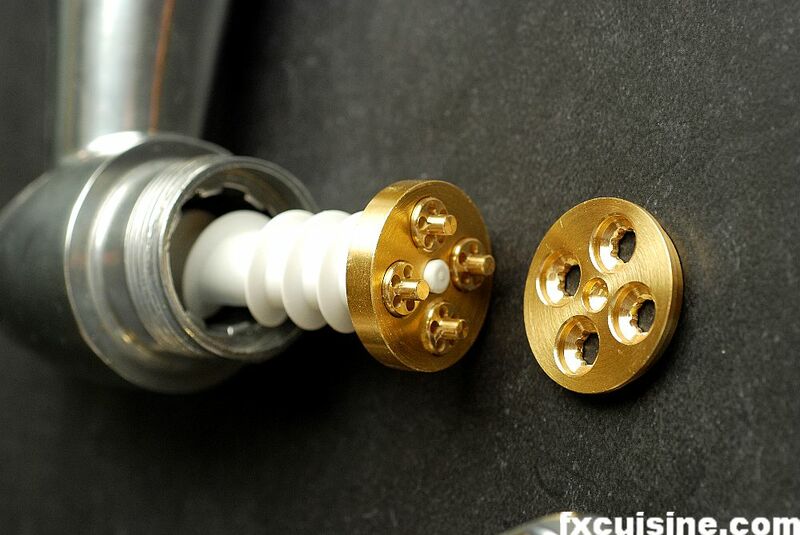 Sheri, if you visit the UK Kenwood site they have it, otherwise you can buy the pasta extruder kit on Ebay. I adore your website and your passion and thoroughness. I just returned from Italy where I attended a week long cooking class near Lucca (Near Pisa). It was amazing and now I am addicted to finding the most authentic recipes, auhentic ingredients..like Asperso, and authentic tools..like a Garganelli comb. I tried emailing that Milan store but I have a feeling I am going to have to go in person the next time I'm over there. 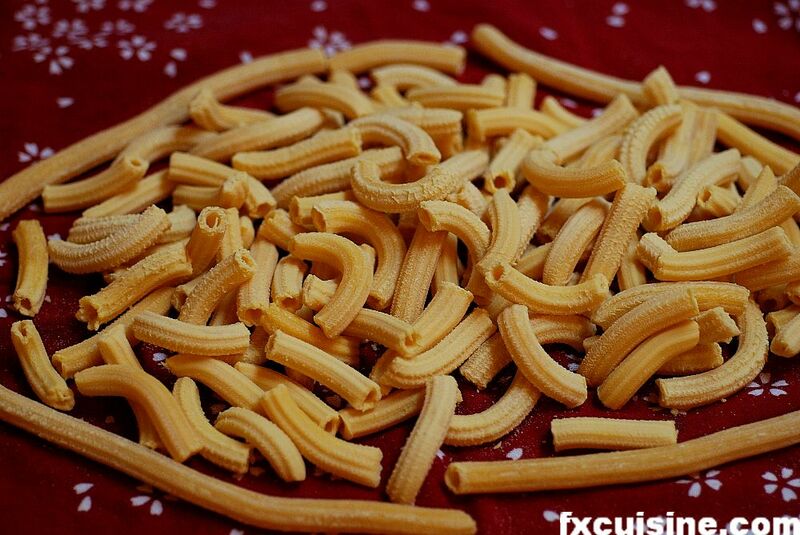 I'd love to find something called a ciuliri..it is a a kind of sieve with the bottom made of thin twisted rushes used to texture and shape a type of Sardignian pasta called malloreddus. Have you ever heard of this? Do you think the Milan store will ship to the US.? I'm anxious to finish reading the rest of your site but I don't want to lose my job. I've spent so much time and I can't wait to get back to it.Keep up the good work! Stacey, thanks for visiting! How was this cookery course near Lucca? Would you recommend it? I did not know abou the ciuliri and now want one - but please check my Asparagus Malloredus article to see some bought malloredus. The Milan store will not answer any query unless you call in Italian and arrange shipping yourself. And please keep your job, my articles will be there tomorrow! I just made my first pasta tonight. I bought an excellent 2nd hand but never been used Kenwood Chef A901. I also have the A701 which is older but still working well. A few months ago I bought the pasta extruder but found it didn't fit the A701. I got the A901 at the weekend and decided to try out the pasta extruder tonight - with no real recipe to follow and I've never made pasta before. I used plain flour, 2 eggs and 1/4 teaspoon salt and added a little water (mistake!) I made the mixture a little too wet and it all stuck together. Added some more flour to dry it up and started to get what looked like tagliatelli. Anyway, it tasted not too bad but I wish I'd seen this site first before I tried it. I will be making pasta again soon and will try your method. Many thanks. Fiona, you should use durum wheat semolina, that is flour from a special wheat that has a harder grain, you can find it sometimes in ethnic aisles in supermarkets or just where they stock the flours. Add a little olive oil, no salt and no water, and make your dough as dry as you can, it should be downright crumbly, not really a dough, otherwise your pasta will stick together and you'll lose your spirits! Good luck! I love making food from scratch. I've always wondered how to make pasta. Thanks for informing me. What an easy way. I can do that. Very nice bronze plates! The Kenwood website seems to show plastic plates on the pasta machine though. Did you get those plates separately?